Focal Aria 906 review | What Hi-Fi? We don’t expect much variety comes to speakers. Most of them consist of drivers in some kind of box. So when we hear a manufacturer is experimenting with new materials, we get very excited. Enter the Focal Aria 906 speakers. Focal's latest cones are made with flax – a material that dates back thousands of years. And we think that’s pretty amazing. The ancient Egyptians and Chinese used flax way back. It’s a plant, and fibres from its stem are used to make linen. Bunches of the fibre resemble blonde hair – hence the word ‘flaxen’. Flax has been chosen by Focal because it's self-damping, and has the same rigidity as Kevlar. Its hollow structure also makes it light, so it has half the weight of glass-fibre. The new ‘F' cones have a layer of woven flax sandwiched between two layers of fibreglass. You’ll find them on all of Focal’s new affordable Aria speakers. The Focal Aria 906 is a two-way bookshelf speaker, and is the first of the Arias we’ve tested. If it’s performance anything to go by, we’ve got a lot to look forward to. It’s a big sound for starters. There’s a sense of scale here that we rarely, if ever, hear at this price. It’s tall, wide, and effortlessly encompassing. It’s also muscular, with enough authority to hold you to your seat, but not so much that you feel bullied. That has a lot to do with the 906's bass, which is abundant, weighty and nicely extended. Despite the size and power of the sound, the level of control is impressive. We played a mix of classical, pop and rap (Holst, Rihanna and Eminem) and the performance was consistently agile. The 906s aren’t quite as light on their feet as the KEF LS50s or the Martin Logan Motion 15s, but every turn is taken with precision. It’s a mature, stable performance with considerable polish. And yet, the Focals aren’t afraid to get their hands dirty. Far-reaching dynamics ensure there’s strong kick where necessary, and a keen sense of timing drives tracks along confidently without seeming pushy. Elsewhere, the 906s are tonally balanced and well integrated. The clear treble, direct midrange and rich low-end play together nicely enough to sound exciting with a variety of music styles. Make sure to warm-up the speakers before you get down to some serious listening though, otherwise the bass can sound a little confused. Half an hour should do it. The Aria 900 range makes a strong first impression, then. But is it all thanks to flax? It’s hard to tell, because Focal has another trick up its sleeve: above the ‘F’ cone sits a new tweeter. It has an inverted dome made of magnesium-aluminium alloy, supposedly to increase damping and rigidity. The suspension uses Poron, a material with shape memory. Focal says this improves control. Surrounding the drivers is a leather face, a glass top and lightly sloped sides that come in walnut or gloss black. The latter will set you back an extra £140. Build quality is good, but some users might find the look a little busy. 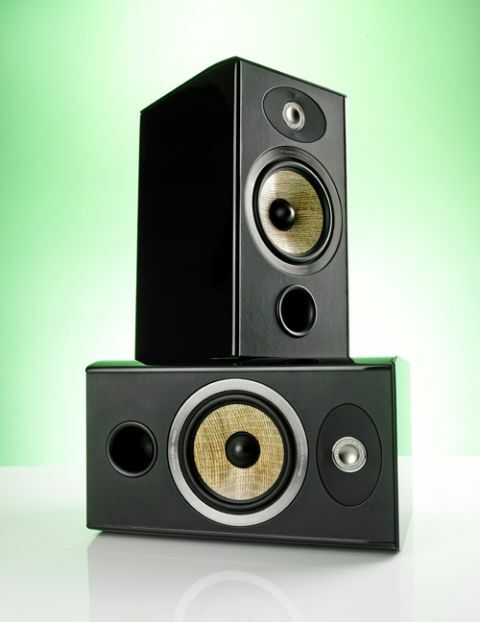 The Focal Aria 906s are very enjoyable, respectable speakers. If you value standmounters with scale, power and refinement, you won’t find better for the money.